The little brown envelope contained a tan, stiff-covered, five-by-seven-inch, stapled booklet with 32 pages of white paper. It had a January 15 deadline for return. 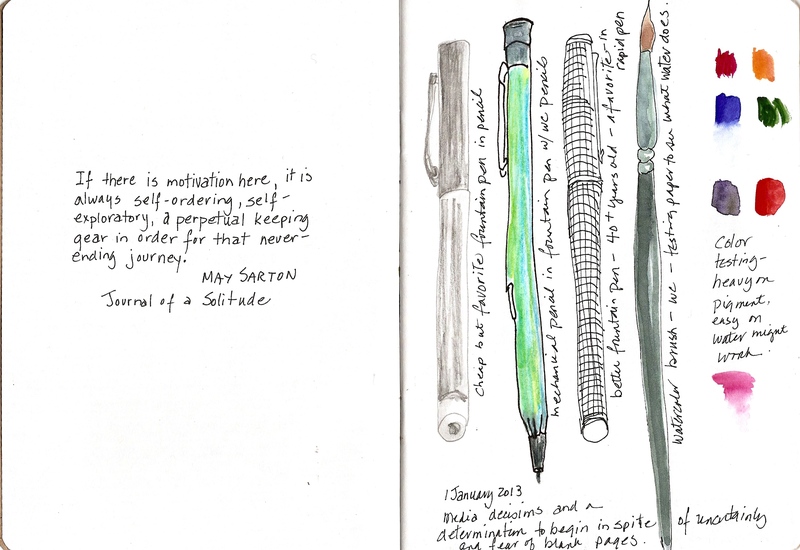 I think of that journey as work, creative work, and that’s what sketchbooks are good for, like writer’s notebooks – a place to practice, to gather ideas, to keep the hand in. And in this case to think about my own workroom. 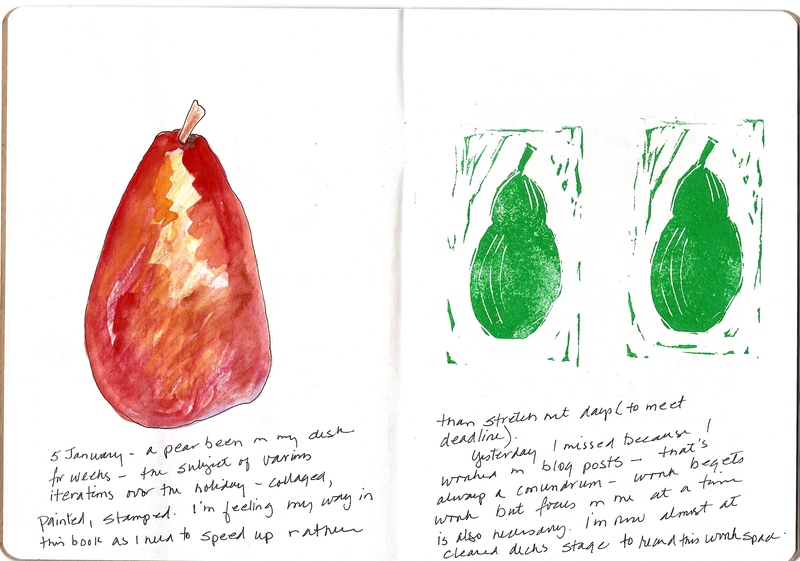 Because I hope to make a little book with the ideas and encouragements from The Workroom for participants, it’s good to focus. Not. 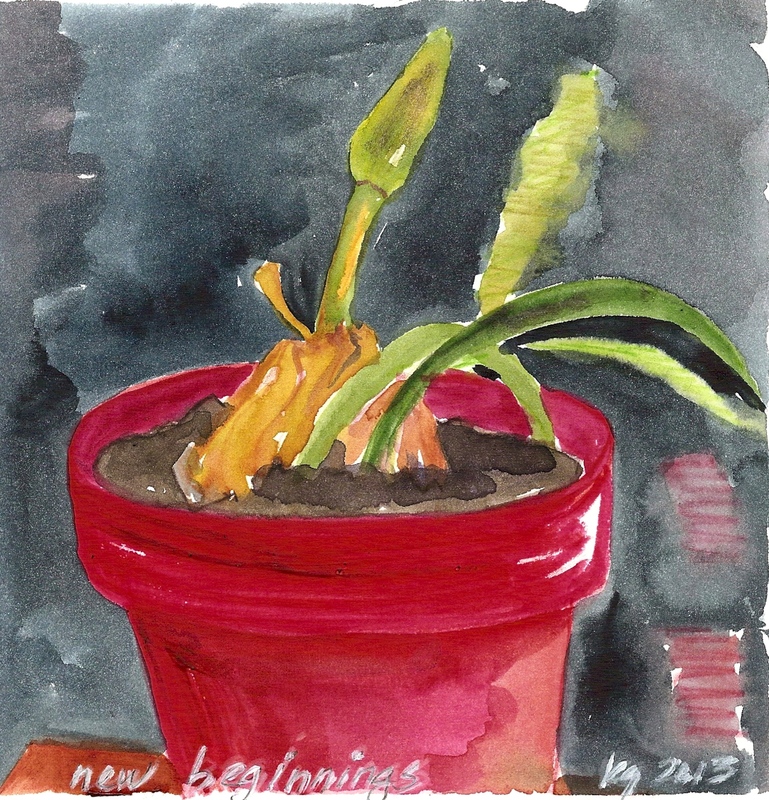 In spite of my short timeline, I dithered (doing dance steps of avoidance and distraction), and finally let the little book become my space for working all that out. 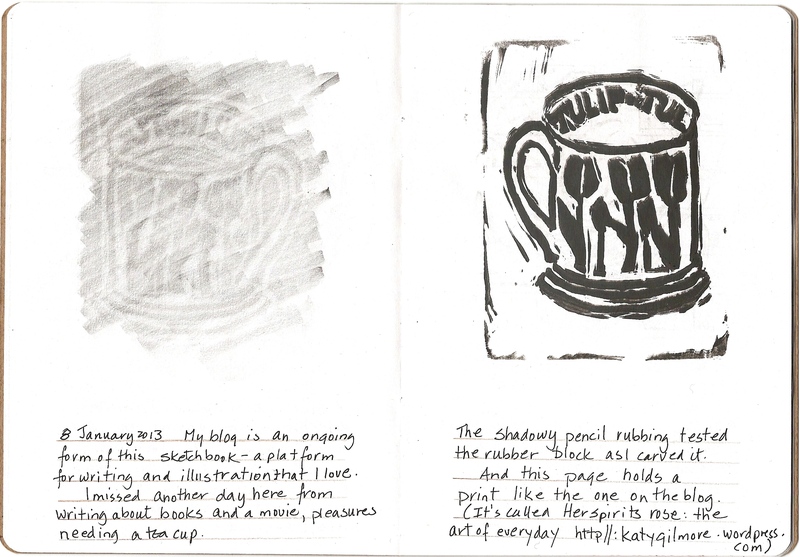 I allowed just one page at the beginning to fill in later, stamped the cover with The Workroom – and started. 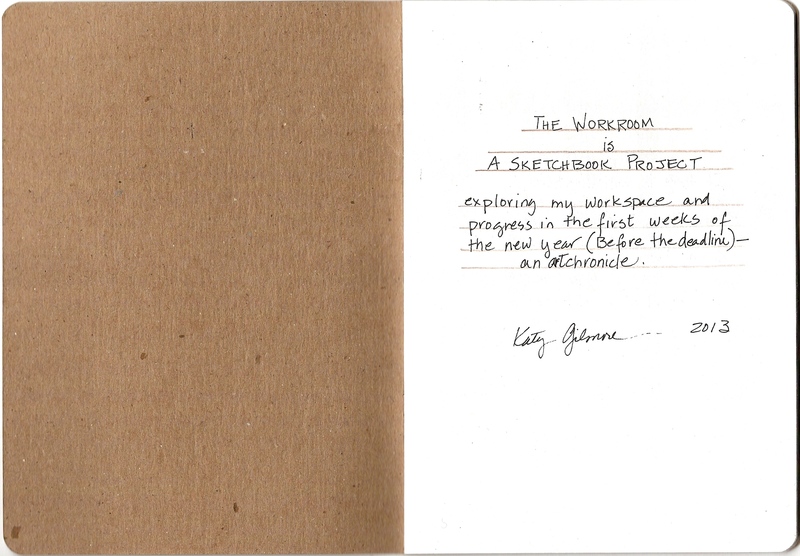 For the next bit I’ll post the pages of “The Workroom: A Sketchbook Project” – though the book itself is gone to Brooklyn – it did its job and got me going, Maybe, if you are not already well-begun, it will help you start your 2013 creative project! He talks in the piece about the stage when a creative project can sink into the “muck of mediocrity,” as it “takes those first vulnerable steps from luxurious abstraction to unforgiving reality” – an always helpful restatement of how hard it is to go from nothing to something. Designer Dana Tanamachi’s New Year resolution, ”to aid in the flourishing of others,” resonated with me when I read it, because next to Lady Baby and the sweet wedding, the great joy of 2012 was designing The Workroom. I loved watching the participants, each in her own way, engage with chosen tasks and experience the stages of creative work. It’s helpful to read and to take note of quotes like the ones above, but it really encourages to encounter people practicing creativity. 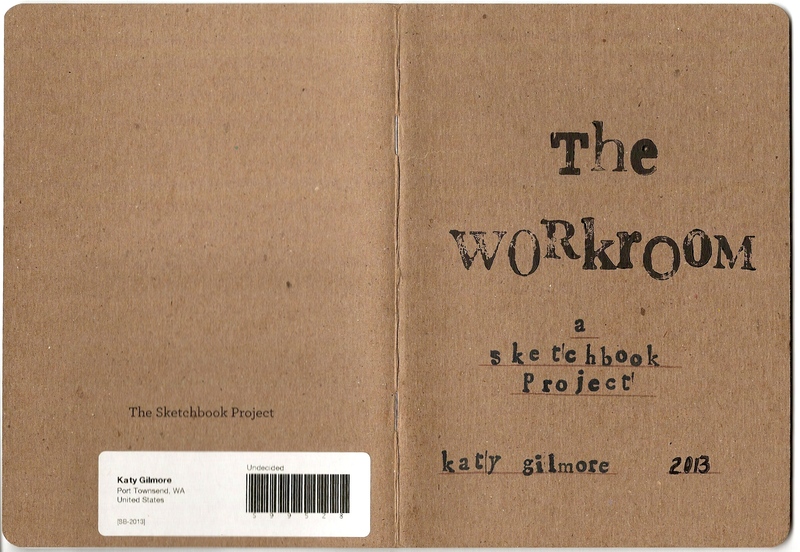 The Workroom offers the support of a group, kindred souls, waiting for and expecting solutions to the “problems and puzzles” of creative work. 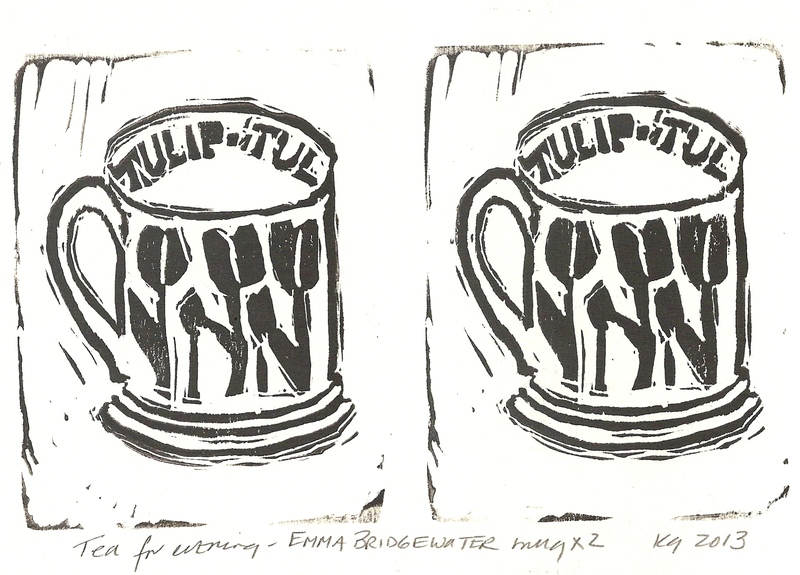 It’s exciting to think about another group of participants for a spring session of The Workroom (March 4 to April 12). I hope you will consider it! It’s January, it’s pitch dark at 5 p.m., and we have succumbed (thanks to our gift Roku bringing the wonders of streaming to our house on the bluff) to one enjoyable TV series after an other – those drawn out, beautifully lit cliff hangers, ranging from Texas football to 50s New York ad men – that Charles Dickens would recognize. But the young writer who edits other people’s words for a living quietly recommended a little movie. She said I’d like “The Jane Austen Book Club,” and she was right. It was fun to settle into a real movie and watch a complexity of Jane Austen permutations and reactions. It helps to know Austen, makes it even more pleasurable, but you don’t have to – it’s California, there are women and a book club but also men, great clothes, and much, much Austen as the plot mimics, and the book club discusses, her six novels. “Persuasion” has always been my favorite, but maybe it’s time for a reread of all of them. In the meantime, you can watch the movie and be reminded of the stories, the characters, and the long-lasting pleasures of Jane Austen’s world.